My first time in Luxemburg, and a very quick shopping experience. First, I've bought the tattoo style shopping tote, from the Moerman Special Edition Collection, designed by Jean Luc Moerman for Longchamp to celebrate its 60th birthday. I wanted that bag for such a long time, and I was sooo happy to see it in a window in center Luxemburg that I immediately bought it. I already am quite attached to it. 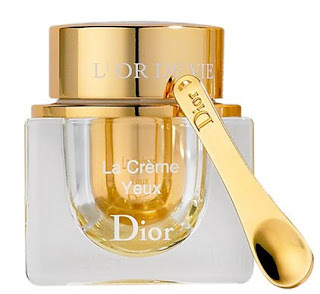 Sephora was right next door, and I entered for a quick visit, only to get a very expensive Dior Beauty L'Or DeVie Eye cream (and I hope very good as well - review later, after I will use it for at least 2 weeks). The next and last stop was a large H&M that was carrying the Divided range of clothes. I bought from it 4 Art by t-shirts , 2 more t-shirts and 2 dresses (one is the blue and white striped shirt dress from here).